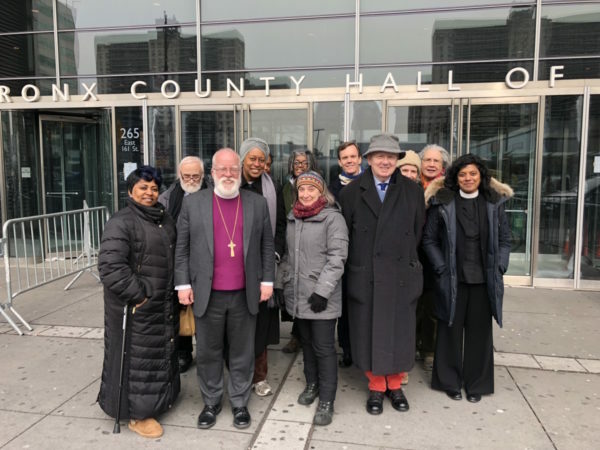 [Episcopal News Service] A judge ruled Feb. 15 that New York Police Department Sgt. Hugh Barry was not guilty of all charges related to the death of Deborah Danner, a lifelong Episcopalian. Barry shot and killed a bat-wielding Danner, who has a long history of mental illness, in her Bronx, New York, apartment in October 2016. His bench trial at Bronx Criminal Court was on charges of murder, manslaughter and criminally negligent homicide. Danner, 66, attended several Episcopal churches throughout Manhattan over the years. She suffered from diagnosed paranoid schizophrenia for decades with repeat hospitalizations, and was having an episode that prompted security guards to call the police. Prosecutors had argued that she was not enough of a threat and Barry did not follow police procedure. On cross-examination, the Times said, lead prosecutor, Wanda Perez-Maldonado, elicited that Barry had not followed his training and appeared to ignore many of the department’s protocols. For instance, he left a shield and restraining straps for dealing with disturbed people in his car. She suggested that Barry had rushed to subdue Danner instead of isolating her and waiting her out. Justice Robert A. Neary of State Supreme Court said that the prosecution failed to prove that Barry was “not justified in the use of deadly physical force,” the Times reported. Since the trial began Jan. 30, Episcopalians, those who knew Danner and those who did not, have been attending the trial and focusing on what they can do to help change police procedures and training for handling people with mental illness. Lucas Pershing, program manager for action and advocacy at Trinity Church Wall Street, one of the churches Danner attended, was one of the leaders in the effort to show support for Danner and anyone who has mental illness. Members of Church of the Heavenly Rest and St. Mary’s in Harlem were among the churches who had representatives. This is not only a New York issue, but an issue for Episcopalians across all of the communities in the United States and beyond, church leaders said. The Chapel of All Saints in Trinity Church planned a Service of Comfort Feb. 15, regardless of the verdict. The service was to provide a moment to remember Danner and pray for everyone involved in this tragedy: “her family and friends, the officers, emergency medical technicians, attorneys, court personnel and the judge,” according to an announcement on Trinity’s website. On Feb. 9, Diocese of New York Bishop Andrew Dietsche met with the New York City Mayor’s Office to formally request Crisis Intervention Team training for all NYPD officers by the end of 2018, according to a story on the Trinity website. “We have asked Mayor de Blasio to implement crisis intervention training for all New York City Police Department officers. We believe that if the officers who engaged Deborah 15 months ago had received this training, Deborah might have been spared, and the officer himself, now facing charges of murder, might have been spared,” Dietsche said in the story. Dietsche attended the trial along with more than a dozen other Episcopalians. Black Lives Matter activists attended too. After the verdict, Dietsche wrote that Danner’s tragic case has raised significant and troubling questions of how the city and its institutions deals with people who have a mental illness, especially in times of emotional and mental crisis. The Rev. Winnie Varghese, Trinity’s director of justice and reconciliation, wrote a Feb. 7 letter to Trinity’s staff and congregation about the trial and how people could be involved. 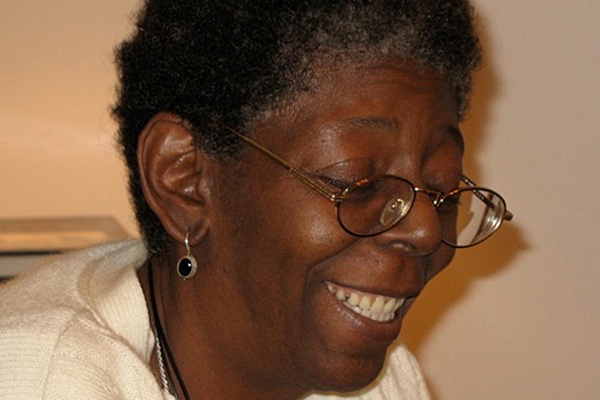 Police Commissioner James P. O’Neill said in an email to the police department that the verdict does not “make Deborah Danner’s life any less tragic.” The Sergeants Benevolent Association posted the statement on its Twitter feed. The department and officers individually must be held accountable for their actions, he wrote. And, the department is responsible for training and equipping its offers to handle these kinds of challenges in a measured and appropriate way. “The NYPD’s disciplinary review of the tactical and supervisory decisions leading to the discharge of a firearm in this case will now proceed,” O’Neill said.